THE SCHECHER ORGANIZATION is here for you ! Welcome to the SCHECHER GROUP Website. The SCHECHER GROUP is a family of niche market companies with a presence in the Insurance, Real Estate, Finance, and Hospitality Industry. 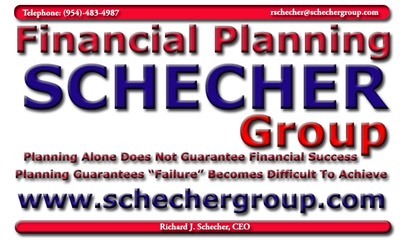 The founding father of the SCHECHER GROUP is Richard J. Schecher, Sr. Richard started out his professional career as a school teacher in Hallandale Florida after graduating from College and later entering the Insurance business on a part time basis while teaching school. Over time, Richard Sr went full time into the insurance business and soon followed by going into the Hospitality business and later the Factoring business while somehow along the way developing a portfolio of exceptional vacation rental properties in the United States, Bahamas, and the Dominican Republic. Today the SCHECHER GROUP has both Richard J. Schecher, Sr and Richard J. Schecher Jr. working together as one of the most successful father & son teams in the niche market fields associated with the specialty markets of the SCHECHER GROUP. Both Father and Son along with several key managers and employees, many of which have been with one or more of the SCHECHER GROUP COMPANIES on average 15 years have developed the SCHECHER GROUP into a highly niche market group of Companies. History will show that the SCHECHER GROUP may have been founded by Richard J. Schecher, Sr but he will be the first to tell you that the success enjoyed by the SCHECHER GROUP is a direct result of the dedicated team of fantastic employees and managers that make up TEAM SCHECHER. Richard Sr has enjoyed a 40+ year professional career of as the founding father of SIR SERVICES-NY, the Apartment & Property Owners Purchasing Group (APOpg,) and the National Association of Property Owners & Real Estate Professionals (NAPOrep) along with SG Resorts International and Bridgeport Capital Services. Richard Sr has a lifetime of experience as an Insurance Agent, Insurance Broker, Reinsurance Broker, Captive Reinsurance Manager, and Director of Operations for the Apartment & Property Owners Purchasing Group which is the largest insurer of NYC inner-city landlords. Richard Sr has also duplicated his success in the Insurance Industry by involving himself in the highly niche market of Condominium Resorts in South Florida which later expanded to resorts and other high end luxury Caribbean Vacation Villas on the North Coast of the Dominican Republic and in the Bahamas. Richard Sr also expanded his presence in the Hospitality Industry by creating SG RESORTS INTERNATIONAL and its Global Network of 5,000+ Resorts in more than 100 Countries. The SG Travel & Vacation Club unlocks to gates to select timeshare resorts void of any of the costs associated with timeshare ownership. The SG Travel & Vacation Club provides its membership with their own private portal to book and save as much as 85% compared to what the general public pays to vacation at the same resorts. 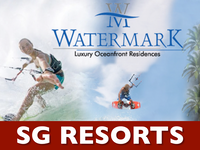 What is SG RESORTS and SG RESORTS INTERNATIONAL ?